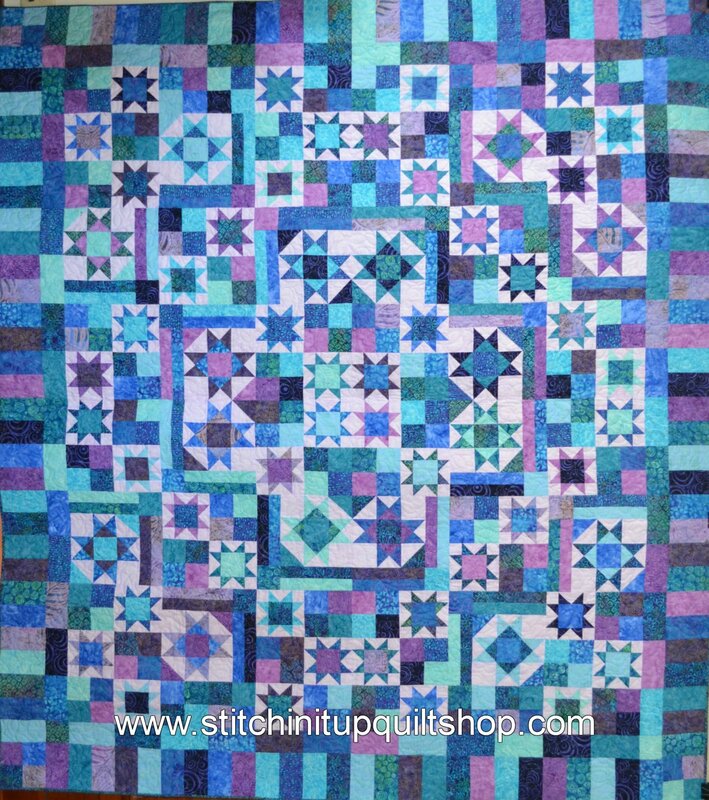 Ohio Stars and Sawtooth Stars combine to make this quilt really sparkle! Pattern "Sew Many Stars" by Glad Creations, Inc. BACKING NOT INCLUDED IN THIS KIT. Wide back backing for this quilt available here.